Whatever your choice is, know that we are specifically engineered to repsond to customer needs whether local or not. Check out our FAQ page to see what our customers ask and hwo we handle their concerns. We pride ourselves in customer service. We are with you and your move every step of the way! 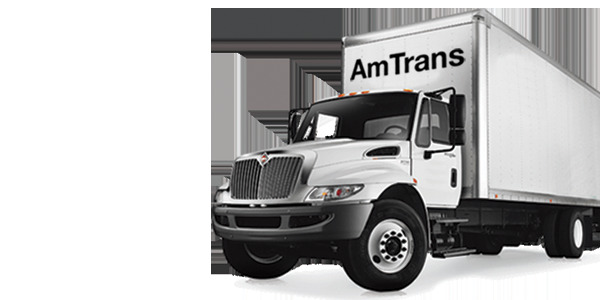 Our Mission AMT will provide superior, personalized service through our dedicated staff. We are committed to: Partnering with our customers Providing competitively priced services Rewarding excellent employee performance Maintaining profitability "Where Quality Counts" AMT is committed to providing quality service for our customers - and it shows. We built our reputation by providing award-winning service with a multitude of moving and storage capabilities. Our commitment to quality means that our staff of experienced professionals always places the needs of our customer first. Our Businesses Our company offers a variety of services: Residential moving: local and long distance Commercial moving: offices, manufacturers and hospital labs Residential & Commercial Storage Specialized Logistics Home delivery Warehousing & Distribution Heavy items Code of Conduct • Family owned and operated Moving Company • Years of experience In moving business • Moving jobs done just right . • Working for the city of Cleveland and beyond . • Carefully handling our customers belongings, • Speedy and efficient loading , • Never wasted time . Careful driving . Polite , Honest and reliable job/service.